Elia Exchange is the acclaimed programme from Elia that bridges the gap between the academic and business worlds for the benefit and prosperity of the language industry. • Creating invaluable and innovative opportunities for first-hand experience for translation students, to complement their studies. • Connecting and joining forces with the academic institutions that offer higher education degree programmes for the language industry. • Helping language companies acquire staff that are more skilled and adept at responding to the rapidly changing needs of the industry. The EE Database promotes internships, matching students’ interests and career plans with internship opportunities at language service companies. EE Forums are held in-country to promote cooperation and dialogue between local industry stakeholders including academic institutions and language service companies. The EE Memorandum of Understanding is the backbone of Elia Exchange internships and ensures that language service companies apply best practice to provide valuable student experience. Elia Exchange is open to industry stakeholders with an interest in working collaboratively and cooperatively to benefit the future of the language industry. With 30+ Academic Members from 17 countries, 20 National Coordinators covering 33 countries across 4 continents and 165+ students on the database, Elia Exchange is the leading programme from Elia that addresses the recognised talent gap in the language industry. For more information and to register, go to the Elia Exchange website. Share knowledge with academic institutions and impact how graduates are prepared for employment. Connect with talented language professionals, with the assurance than new employees with an EE internship on their CV will not require lengthy induction training. Elia Exchange is available to Elia members that demonstrate their commitment to the EE Memorandum of Understanding through the EE Code of Conduct. Improve the employability prospects of your students through access to a network of industry partners, a wider range of internship opportunities and a way of attracting new students. 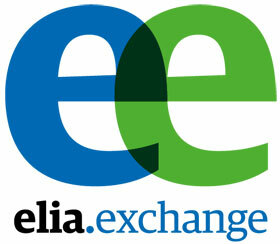 Go to www.elia-exchange.org to find out more and to register to become an Academic Member. Membership costs €150 and lasts for 12 months. Secure your future as a language professional and access additional opportunities to prove your value to a potential employer. To register with Elia Exchange, go to www.elia-exchange.org/student-application.